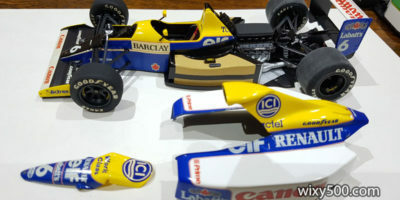 Models of Australian drivers who competed overseas would be a great collection theme and would make a significant and interesting display, even if it was just F1 cars. 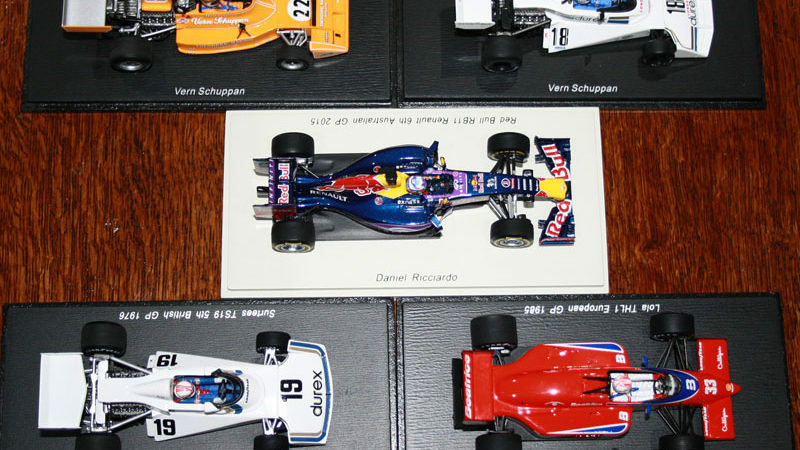 While I don’t specifically collect to that theme, I do have models of most of the Australians who have competed in Formula One. 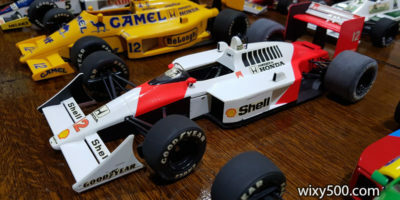 Over the past six months I happen to have purchased these five Australian-driven F1 models. 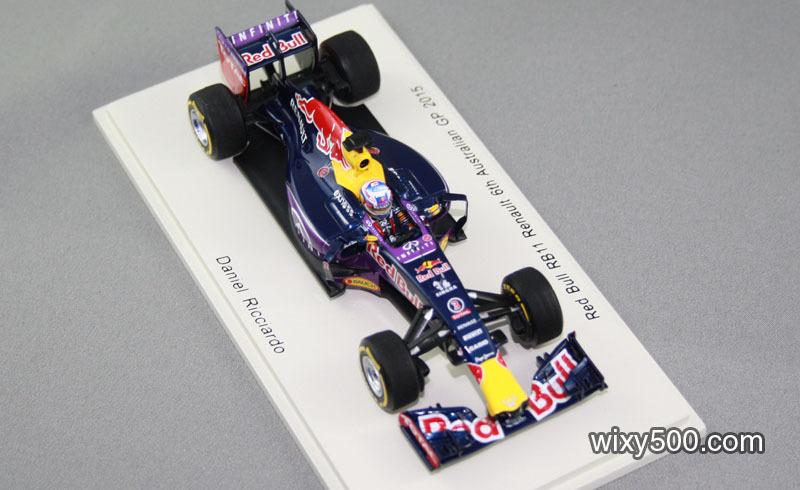 All of these are 1:43 resin replicas from Spark. Unfortunately, the Red Bull came with a broken front wing. Front wing was a bit of a mess – snapped off on one side pilon (which also damaged the decal) and a big glue blob on the other. Small dab of CA glue and the wing fixed back ok. I was able to reduce the size of the glue blob a little, but was worried I’d lift and break the decal if I tried removing any more. 1974 Ensign N174 Ford – Vern Schuppan. The South Australian drove N174 ‘MN02’ for five events (thanks to finance from Teddy Yip’s Theodore Racing) in 1974, but DNQ’d two of them. 1976 Surtees TS19 Ford – Alan Jones. The TS19, with its triangulated tub and wide nose, was a new design for 1976. 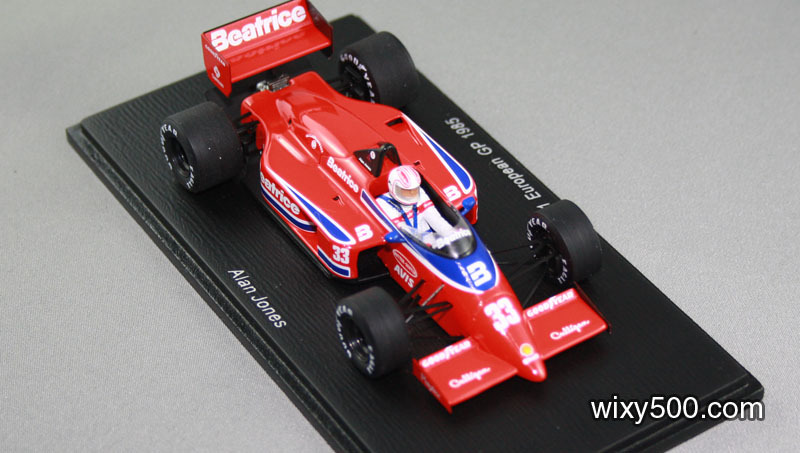 Future World Champion Alan Jones was in the points several times, including 5th in the British GP, which is the version modeled here. Durex condom sponsorship caused a headache for television broadcasters! 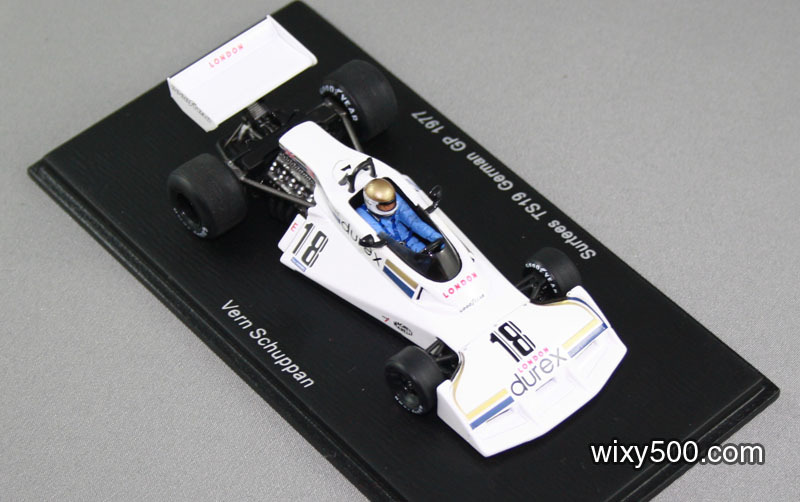 1977 Surtees TS19 Ford – Vern Schuppan. Schuppan was one of a large bunch of drivers to rent a ride with Team Surtees in 1977. Seventh in Germany was his highlight. 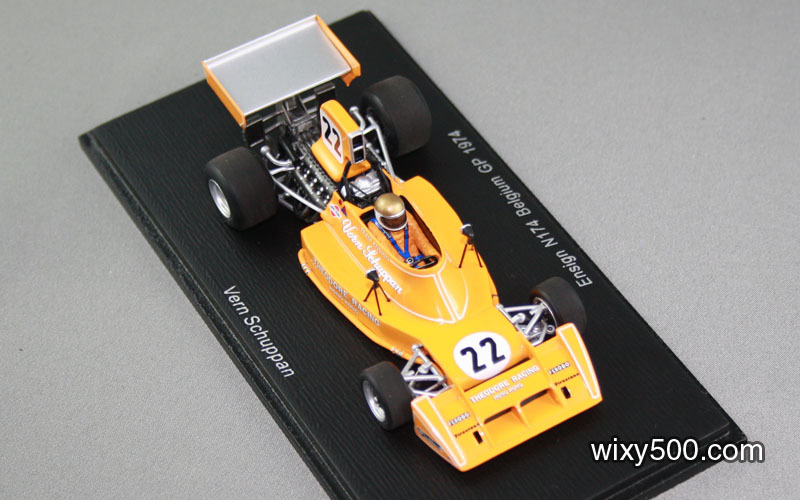 The model includes a number of subtle changes to the car from the 1976 version. 1985 Beatrice/Lola THL1 Hart – Alan Jones. Carl Haas’ new Beatrice-backed FORCE team had big dollars behind it but had to ran customer 4-cylinder Hart engines while they waited for new V6 Ford turbos to come online. This is the European GP version raced at Brands Hatch. Spark used slim photo-etch suspension arms on this model. 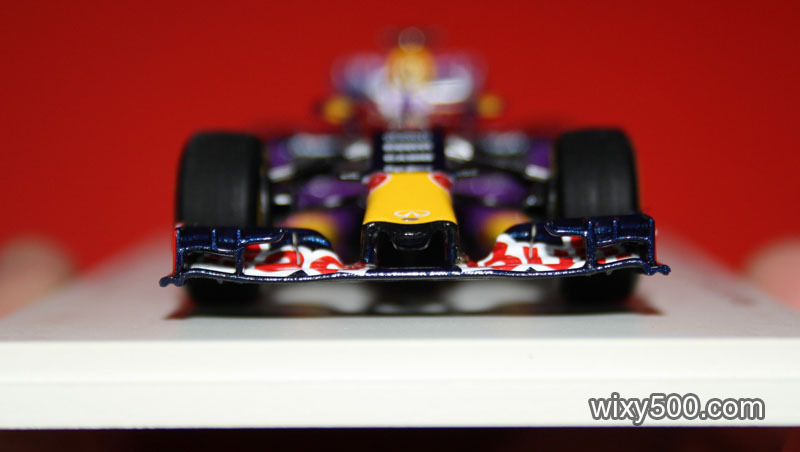 2015 Red Bull RB11 Infiniti (Renault) – Daniel Ricciardo. This is the version from Dan’s home race, the Australian Grand Prix at Albert Park. The model uses a number of etch items in the suspension, and the finish on the paint is very good. However the front wing – apart from arriving broken – is rather clunky on the detail front.